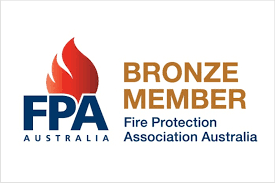 The number one provider of firefighting equipment and servicing in South Australia. Adelaide Independent fire offer an extensive range of products and services to both the public and private sectors. We employ a highly experienced team of staff, well versed in equipment servicing and fire extinguisher testing in Adelaide. They are committed to providing the best possible service, meeting deadlines and ensuring that every possible task and procedure is completed to the level demanded by the relevant Australian Standards. Our team are on hand to supply, install, and maintain products and fire safety equipment across Adelaide’s residential and commercial buildings. It is with great pleasure to recommend Adelaide Independent Fire. We have used the services of A I F for well over 10 yrs now & find them extremely professional, prompt, reliable & affordable. Any enquiry or procedures needed urgently were always dealt with swiftly & nothing was too small a task. Thank you very much for your past & current services & would highly recommend your company services to anyone. Get in touch with us via phone, email, or our mailing address!